As we age, our natural production of collagen and elastin decreases. It is this decrease in production that causes the various signs of aging to appear. Many people have facials to help reduce the signs of aging and hydrate their skin; however, the results achieved during a traditional facial are rather short-lived. To attain longer-lasting results, you should consider a microneedling treatment (aka collagen induction therapy) at Skinjectables Cosmetic Clinic® in Toronto, Canada, instead. Collagen induction therapy can be a very effective way to perform a facial. Consider that, following a traditional facial, the results attained only last for a few days; whereas, the results achieved with a microneedling procedure last much longer. The results achieved with this treatment last longer because it is designed to promote the body’s own production of collagen and elastin, both of which are essential to attaining, and then maintaining youthful-looking skin. How is a Collagen Induction Therapy Treatment Performed? During your microneedling treatment, a dermaroller is used to make tiny punctures within the skin: The body treats these punctures as small wounds, sending fibroblasts to the area. Basically, collagen induction therapy tricks the skin into thinking it is wounded: Thus, causing the fibroblasts to begin repairing these ‘injuries.’ This increase in the production of collagen and elastin causes the skin to become thicker, and improves its overall texture. 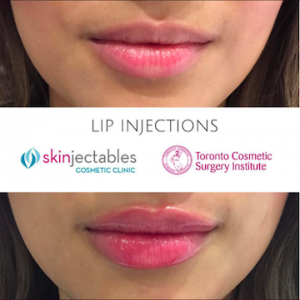 What Can Collagen Induction Therapy at the Skinjectables Cosmetic Clinic® in Toronto Accomplish? As elastin and collagen production increases, the skin thickens: It is this skin thickening that repairs the indented areas of the face. – collagen induction therapy can be used to reduce fine lines and deep wrinkles. This treatment is also very effective in reducing the visibility of acne scars. The ability of collagen induction therapy to initiate new skin cell production makes it a powerful solution for slowing down the aging process. – one of the main benefits of collagen induction therapy is that the pores in the treated areas appear smaller. The pores appear smaller because the increase in the production of collagen causes them to plump: Sometimes, after a microneedling treatment, the pores actually appear as if they are completely closed. – microneedling can reverse the visual effects of sun damage and address issues related to pigmentation, including the hyperpigmentation that results from melasma. The blotchy, brown facial skin that is caused by melasma can improve substantially with collagen induction therapy. – loose skin contributes to the signs of aging. However, besides the ability of microneedling to correct and smooth damaged skin, it can also be helpful in tightening loose skin. Collagen induction therapy is a great option for men and women whose skin has become somewhat lax. In addition, following a microneedling procedure, your topical skin care products will work better. Generally, the actual absorption of the topical products you use on your face is relatively small (4 to 8 percent); however, following a microneedling treatment, chances are that these products will penetrate your skin more effectively. Here is why: The tiny punctures created during a collagen induction therapy treatment act like channels. These channels permit the topical products you use to penetrate your skin better; thus, allowing you to enjoy the full benefits of your skin care products. Furthermore, since this procedure has minimal downtime and very few side effects, microneedling is frequently recommended as a maintenance treatment for those who are interested in preventing the signs of aging. This procedure works in much the same way that a laser skin resurfacing treatment for skin rejuvenation does: Laser skin resurfacing treatments use light or heat to injure the skin and promote healing; whereas, a microneedling procedure involves the use of tiny needles to create invisible punctures within the skin. Once the punctures are made, the body begins the healing process. Both collagen and elastin are vital to attaining more youthful looking skin. The collagen makes the skin strong and the elastin makes the skin flexible (adding flexibility to the skin allows it to spring back into place). Today, collagen induction therapy has become one of the most popular treatments performed among skin care enthusiasts. Furthermore, Vogue touts microneedling as the next big trend in the anti-aging industry. Who Should Consider a Microneedling Treatment in Toronto? Individuals who want to enjoy a more youthful-looking appearance by slowing down the signs of aging or those who would like to address the signs of aging that they already have, should consider scheduling a collagen induction therapy treatment at Skinjectables Cosmetic Clinic® in Toronto, Canada. Since this treatment does not involve the use of heat and it is totally mechanical, collagen induction therapy is safe for use on all skin types as well as on all skin colours. Although this treatment works well for addressing clogged pores, it cannot be performed if there are infected or inflamed areas on the skin, or if there is a cystic acne breakout; however, once these symptoms subside, a microneedling treatment can be performed. When you arrive for your initial consultation, please be prepared to discuss your medical history. In addition, many of our patients find it helpful to bring a list of their medications, including dosages and frequency taken, with them to their initial consultation at the Skinjectables Cosmetic Clinic® in Toronto. Also, your specialist will want to know if you take any vitamins or herbal supplements. You should expect your skin and face to be examined during this appointment. By examining your face, your specialist can create you a customized microneedling treatment plan. If you like, your microneedling technician can also discuss other facial rejuvenation options available at our clinic in Toronto, Canada. 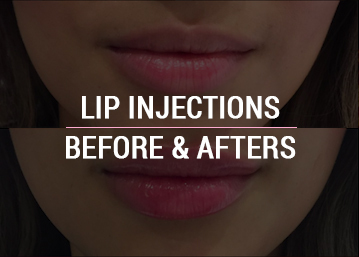 If you plan to have collagen induction therapy and you are susceptible to contracting herpes simplex virus type 1 (e.g., cold sores), please inform your specialist during this consultation as you may need to have prophylaxis therapy before moving forward with your microneedling treatment. For at least 48 hours prior to your treatment, it is vital that you avoid using self-tanning products. In addition, for a period of 24 hours before your collagen induction therapy procedure, you need to discontinue using skin products containing retinol or vitamin A. In addition, you must avoid exposure to the sun. Furthermore, if you happen to sustain a sunburn prior to your collagen induction therapy procedure, please call the office at 416-546-5200 so that we can reschedule your treatment. If you have previously received an isotretinoin treatment for acne, you must wait at least six months to have your microneedling treatment. This waiting period is extremely important because isotretinoin can interfere with your body’s ability to heal; thus, increasing the risk of facial scarring. What is Collagen Induction Therapy at the Skinjectables Cosmetic Clinic® in Toronto Like? Collagen induction therapy treatments generally last about 30 minutes. 1. When you arrive at the Skinjectables Cosmetic Clinic® in Toronto, you will be taken to one of our treatment rooms. 2. You will sit down in one of our reclining treatment chairs. 3. Your microneedling technician will examine your face to ensure you do not have any active outbreaks or open lesions. In addition, your technician will look for active fungal, viral or bacterial skin infections. 4. At this time, your technician will also verify which areas of your face you would like treated. 5. Your face is cleansed to ensure that it is free of makeup, creams and moisturizers. 6. Once your face is clean, a topical anaesthetic may be applied. 7. To assist the dermaroller that is used to create the tiny skin punctures as it glides across your skin, a thin layer of water may be applied to the face. 8. In addition, to protect the skin during collagen induction therapy, a product specifically designed to reduce the amount of friction and prevent abrasions to the face is usually applied to the skin. 9. Once all of these steps are complete, the microneedling treatment begins. 10. The needles that are used during this treatment are extremely small, generally between 0.5 and 2.5 millimetres. When the 0.5-millimetre needles are used, these only penetrate the superficial layer of the skin (i.e., stratum cornea). Directly after your collagen induction therapy treatment, you should expect your skin to appear red (looks very similar to a sunburn). The results attained through microneedling are not immediate because your body needs to create more collagen to repair the ‘injured’ areas of your face. However, as time passes, you will notice positive changes in your skin. Sometimes, the skin of patients with light brown, dark brown or black skin will notice that their skin appears darker after their collagen induction therapy treatment; however, this darkening is just temporary. If you need several collagen induction therapy treatments, in order to prevent unnecessary damage to the skin, microneedling treatments are spaced about a month apart. When numbing cream is used prior to your collagen induction therapy procedure, patients find microneedling very tolerable. Are There Any Restrictions I should Follow Directly After My Microneedling Treatment? Yes, after your treatment, you should not wear makeup for the remainder of the day. Increasing blood flow to the face following this treatment can lead to irritation; therefore, you should avoid performing any tasks that can lead to perspiration. Also, it is essential that you avoid sun exposure for the first 72 hours after your collagen induction therapy treatment. Furthermore, to prevent unfavourable reactions, do not use any skincare products unless they are supplied to or recommended for use after your procedure by your microneedling technician. How Many Microneedling Treatments Will I Need at the Skinjectables Cosmetic Clinic® in Toronto? Since each patient is unique, the number of treatments you will need is determined at your initial consultation. As experienced collagen induction therapy technicians, our technicians can evaluate your skin and make recommendations as to the number of sessions they believe will provide you with the results you desire. That said, to achieve optimal results, the majority of patients require between three to six collagen induction therapy treatments: For example, if you have deep wrinkles, severe sun damage and/or scarring, you will need more treatments than an individual who just needs treatment for fine lines, and wrinkles. Once you are satisfied with the results attained, you will not need to come as often and only need to return once a year to maintain your results. Whether you would like to maintain your youthful appearance or address fine lines and wrinkles, at the Skinjectables Cosmetic Clinic® in Toronto, Canada, we can help. With experienced, caring and dedicated technicians, you know that all of your needs will be met in a timely, efficient manner. To schedule your complimentary consultation at our clinic in Toronto, please call 416-546-5200 today. Let us help you turn back the hands of time or freeze time in its tracks with effective facial rejuvenation and maintenance procedures. Our office is located at The Fairmont Royal York Hotel, 100 Front St. West, Level D, M5J 1E3, Canada. In order to access the ‘D Level,’ please remember to take the East Elevators.